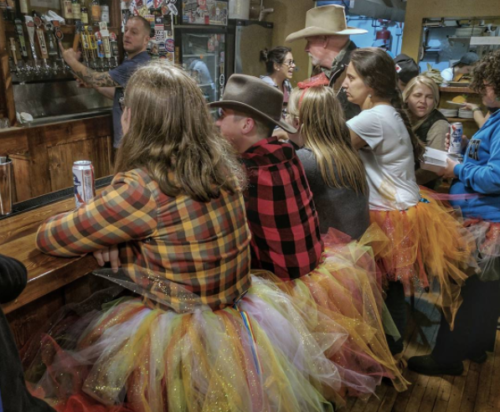 Supporters of LGBTQ equality wore tutus across Wyoming Friday to protest Sen. Mike Enzi’s comment that men who wear tutus into bars are asking to be assaulted. For Wyomingites, Enzi’s anecdote wasn’t random. It instantly called to mind Wyoming resident Sissy Goodwin, a retired professor and well-known crossdresser whose story has been featured by media outlets like NBC and The Washington Post. Though Goodwin technically wears petticoats, the unfamiliar could easily confuse the two voluminous skirts. Goodwin donned a bright green and yellow petticoat when he joined participants in a statewide protest dubbed #LiveAndLetTutu, after the state’s “live and let live” culture. 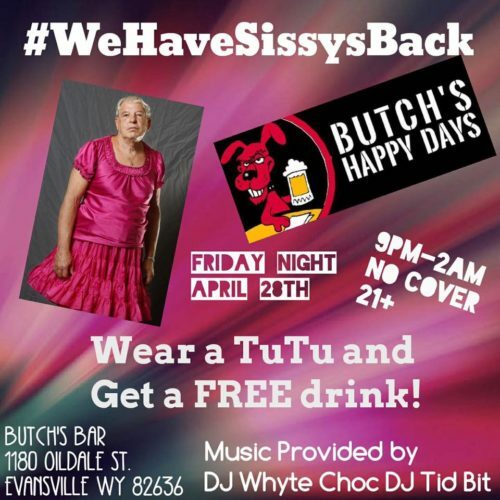 Meanwhile, in Goodwin’s hometown of Casper, a place called Butch’s offered patrons free drinks if they wore a tutu, and showed support for their local celebrity with the hashtag #WeHaveSissysBack. Even Butch’s Bar got in on the tutu action. Enzi made the controversial comment when a student journalist asked him about LGBTQ rights. The senator later apologized for his choice of words on Tuesday. But Enzi also issued an apology directly to Goodwin, while insisting that Sissy was not the person he was referring to in his anecdote.